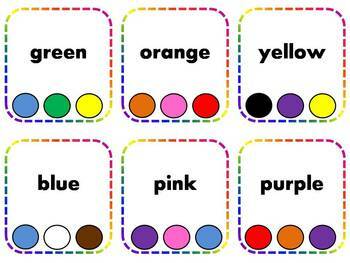 Here is a great literacy center or independent activity including 60 colors and color words clothespin task cards. 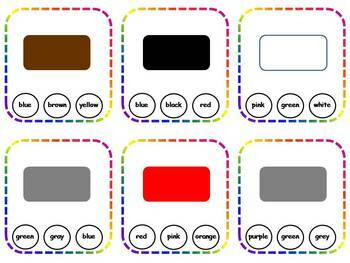 These task cards provide a variety of ways to help students learn their colors and the corresponding color words. 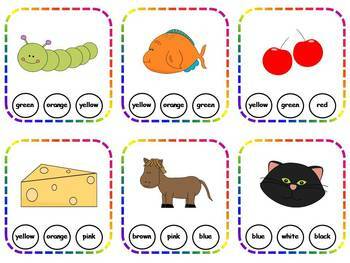 Simply print, laminate, cut apart and these cards are literacy center ready! The only other materials you need are clothespins. 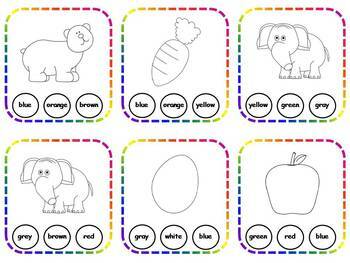 Kids will love this fun, hands-on literacy activity! I let my kids keep these in their book baskets for independent practice and they absolutely love them!